New York Comic Con is just around the corner, and that means we are going to get word on some upcoming projects we knew nothing about previously. One such project was let out of the bag a little early in the form of Batman Ninja, a brand new, feature-length anime movie that Warner Bros. is working on. Even though the movie hasn't been officially announced yet, Batman Ninja is going to be showcased at NYCC. So the cat is out of the bag. The movie is reportedly going to be a full-length feature from Warner Bros. Japan and is going to take The Dark Knight into the realm of anime. According to the New York Comic Con panel description, Batman Ninja, which comes from Warner Bros. Japan, will be presented on the Main Stage at the Javits Center from 1:45 to 2:45 p.m. ET on Thursday, October 5. So if you're a huge Batman fan and you're going to be at New York Comic Con, this is probably going to be a must-attend event. Here's the official description of the panel. "Warner Bros. Japan and Warner Bros. Home Entertainment team for an eye-popping addition to the Batman animated legacy with Batman Ninja, a spectacular, all-new anime film coming in 2018. Be among the first to witness the premiere of colorful footage from this imaginative take on Batman and many of his connected characters. Panelists will include director Jumpei Mizusaki, character designer Takashi Okazaki, screenwriter Kazuki Nakashima, English-language screenwriters Leo Chu & Eric Garcia and some potential special guests." For the record, this is not the first time that Bruce Wayne has ventured into anime. 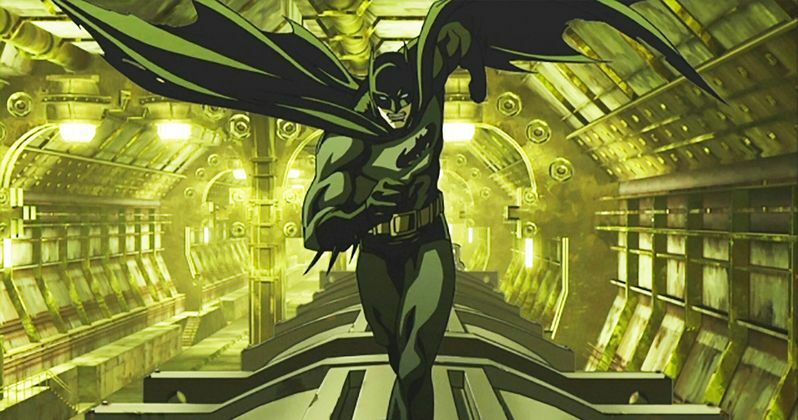 2008's Batman: Gotham Knight was also a feature-length, home video release that was done as an anime that helped bridge the gap between the events of Batman Begins and The Dark Knight. It is made up of several shorts that, though connected, tell different stories. Perhaps most importantly, when looking at how this may relate to Batman Ninja, it was pretty cool. Batman definitely works in anime form, but there are a whole lot of questions and not too many answers about the movie right now. But even with what little information we have, Batman Ninja sounds like something to keep your eye on. As of right now, the only info we have is that Batman Ninja will arrive in 2018. That is frustratingly vague, but at least we know it will arrive some time next year. As far as Warner Bros. animation goes, they also have a Teen Titans GO! movie set for summer 2018. We'll surely learn a lot more about the project during the panel at New York Comic Con this Thursday, so be on the lookout. Hopefully, Warner Bros. will release some sort of footage, or possibly a trailer, for Batman Ninja during, or shortly after the panel. Fingers crossed.